Whoa... I think I'd be more worried about those treads than the cannons. Haha I know right? 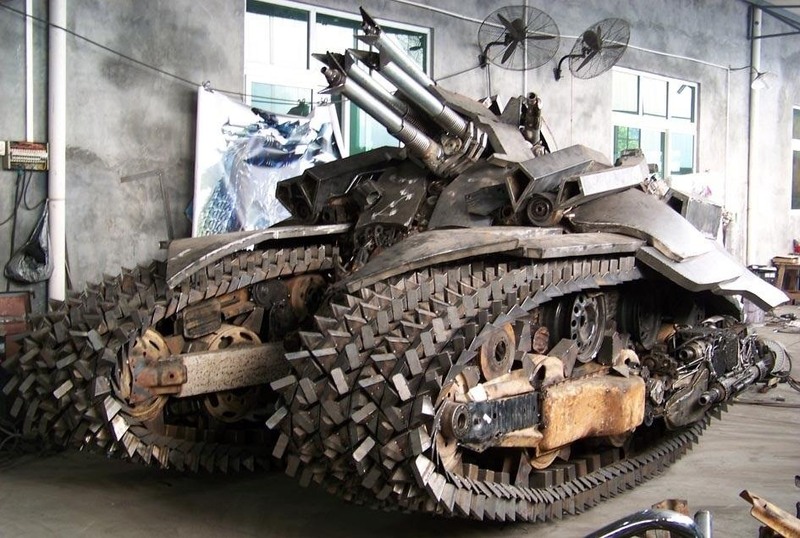 Although I think something like this would be incredibly easy to destroy in a real battle :(. Sweet zombie Jesus! I know where I'm heading when the apocalypse comes. Unfortunately it's not functional :(. Although I think the zombies would impale themselves so either way you're safe!